Vientiane is the capital and largest city of Laos, and is located in the Mekong Valley, on the border with Thailand. About 200,000 live in the city, and over 700,000 live in the metro area. It has a tropical wet and dry climate, with a monsoon season that lasts from November through March; most of the year is hot and humid. There are many Buddhists sites throughout the city, like temples and shrines. Vientiane also hosts the only bowling alleys and the only mosques in the country of Laos. The National University of Laos is also in this city. 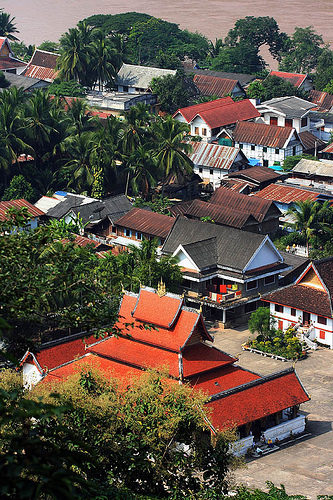 Luang Prabang is a city located in north central Laos, at the confluence of the Mekong and Nam Khan Rivers. Around 100,000 people reside in this city, and it is an UNESCO World Heritage site. The city center has four main roads that are on a peninsula between the two rivers. There are lots of beautiful temples in Luang Prabang, and every morning, hundreds of monks walk around the streets collecting alms. There are also beautiful falls and caves around the city and a night market. Around the town, there are lots of traditional Lao wooden houses and also a bit of European architecture. It is known as a very clean city. 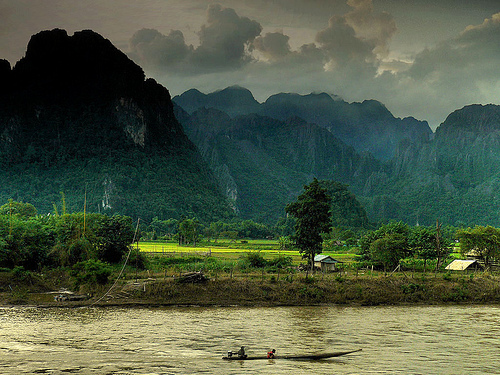 Vang Vieng is mainly a tourist town that is situated on the Nam Song River. It was built up in the 1980s because many backpackers started visiting it. It is famous for its natural scenery, with the limestone formations and lots of caverns. It is still a backpacker town today that has many hiking opportunities, along with tour agencies, hostels, internet cafes and eateries for visitors. People also go for inner tubing and mountain climbing. There is also a famous market five miles north of the town that sells lots of beautiful textiles and other folk art. 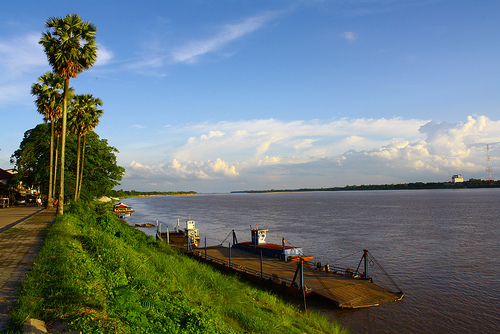 Thakhek is a town on the Mekong River in south-central Laos, and is the capital of the Khammouan Province. There are many French colonial style buildings in the town. Historically, this town was a location of war for national independence. I WOULD LIKE YOUR OPPINION ABOUT MEKONG CRUISE, PASE AND 4000 ISLANDS?